called ‘ Katya in Toy City ‘ from 1973, and taken from the russian site Da-zdra-per-m.
More biography info about Lev available on this translated page here. 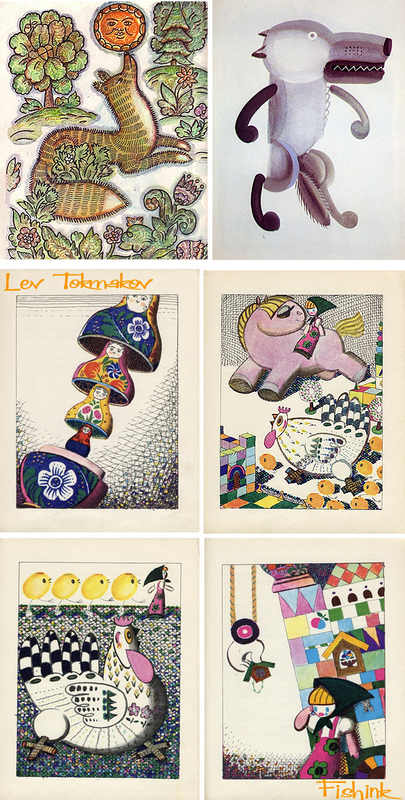 Do you have any biographical information on Lev Tokmakov? birth date, place? 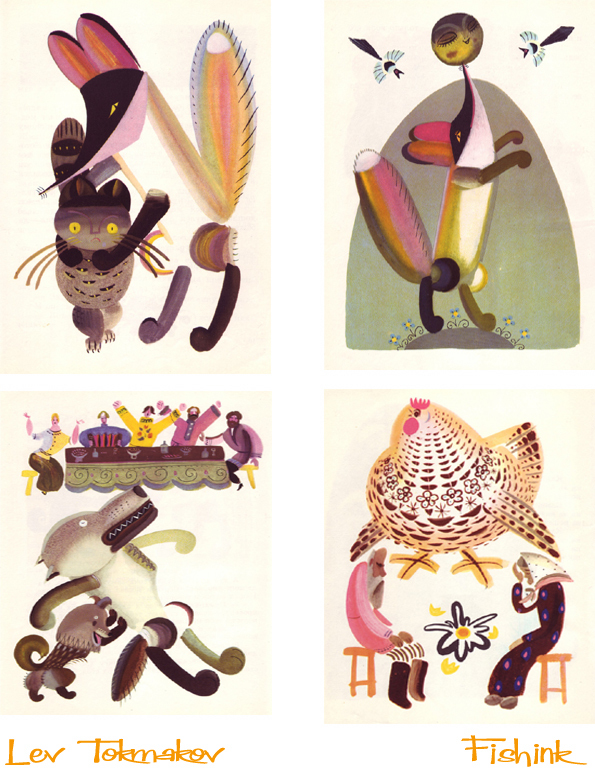 Hi there, sorry I just came across his work by chance. 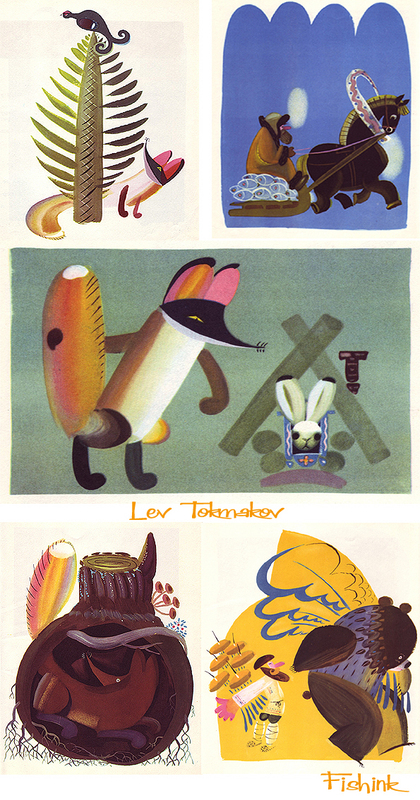 All I could find was this ” Tokmakov was a Russian artist born in 1928 who produced lithographs and paintings and illustrated almost 300 children’s books. 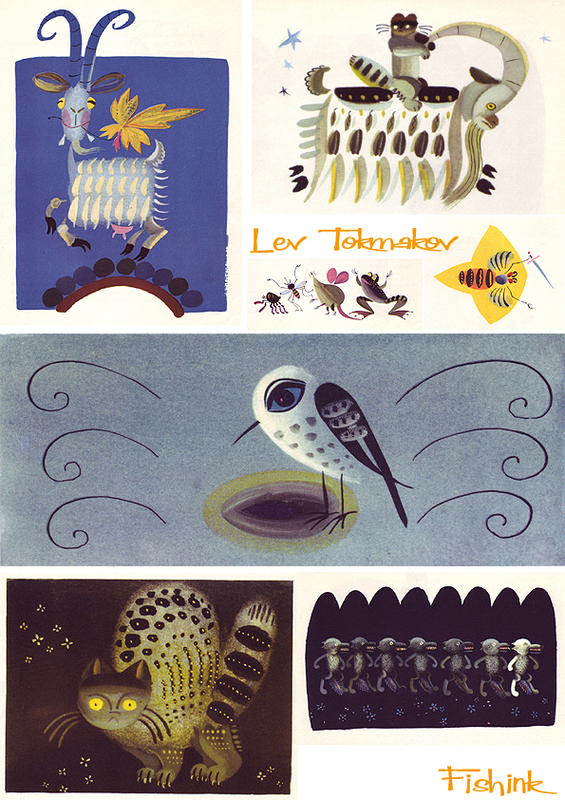 His bright, cheerful, witty and graceful illustrations graced the pages of books by most of the important authors of Russian children’s literature. He also worked on a large number of Russian folk tales, and other tales from Italy and China.” I’ve a feeling he may have passed away in 2010, I don’t know whether it’s accurate (date-wise) but I hope it’s helpful.